Police said the 41-year-old driver is being detained under the suspicion of driving under the influence. By Claire Sasko·	 6/28/2017, 2:45 p.m.
A man driving a U-Haul truck plowed into a store at the Piazza at Schmidt’s in Northern Liberities this afternoon – and then proceeded to run away. The driver, who police said is a 41-year-old man, crashed into the Urban Village Brewing Company at 1001 N. 2nd St. around 1 p.m., according to police. John Awad, who was driving nearby when the crash occurred, captured footage of the U-Haul driver attempting to run away right after plowing into the restaurant. Awad said the U-Haul driver made a left turn off of Wildey Street to travel northbound on 2nd street – the wrong way – when a man in a van began to inform the U-Haul driver that he was driving against traffic. 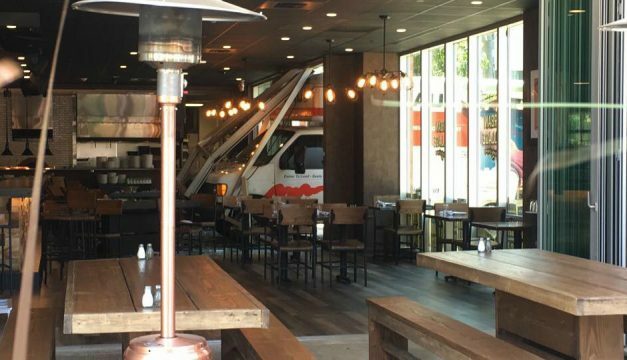 The U-Haul driver then crashed into the van and four other cars before ramming into the Urban Village Brewing Company, Awad said. When people attempted to approach the driver, he ran northbound on 2nd Street. Awad said several neighbors restrained him outside El Camino, a restaurant across the street. Police say the U-Haul driver is being detained under the suspicion of driving under the influence and is currently in custody. He was transported to Hahnemann University Hospital for a possible leg injury, according to a PPD spokesman.